The Emily Convertible Crib Collection by DaVinci offers all the baby furniture you need for your baby's nursery. 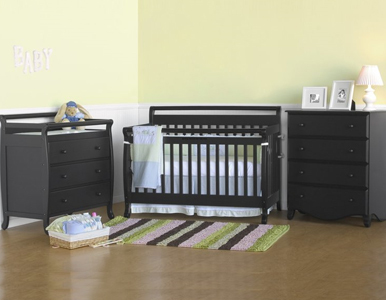 It features the Emily 4 in 1 Convertible Crib, Emily Sleigh Changing Table, and Emily 3 Drawer Changer. This baby furniture is one of our customers favorites and is perfect for parents looking for great value for their money. The Emily crib and changers are available in five classy finishes including: Cherry, Ebony, Espresso, Natural and Honey Oak. 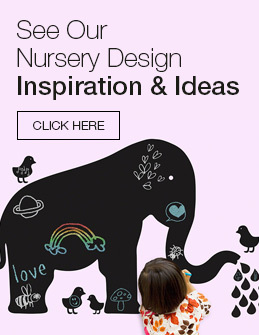 This furniture will look great in your nursery and can be converted into bigger beds as your child grows. The crib becomes a toddler bed using the included rails and a full kids bed, even later. DaVinci uses quality materials and baby-safe finishes making the Emily collection a smart choice for every child's room. A complete solution for your child's sleeping needs and will last to toddler and teen.